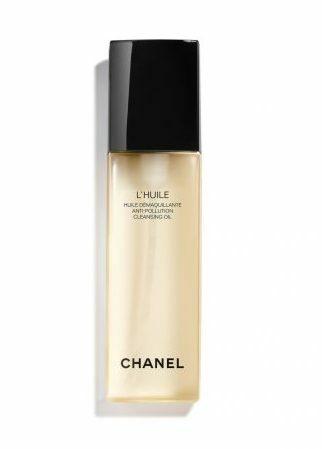 CHANEL have nailed another great product to their line up of luxury skincare in their new anti-pollution cleansing oil – L’Huile. L’Huile is ultra lightweight and non greasy with a fresh and gentle fragrance. It is dispensed by a pump which works efficiently and bottle feels luxurious and looks very smart on my bathroom shelf, complimenting the other Chanel cleansing products there. Suitable for all skin types, this unique cleansing oil incorporates a duo of marine plant extracts which, when brought together, help to combat pollution. Once it is massaged with light circular motions onto skin, L’Huile is gentle enough to remove even waterproof mascara. I simply add warm water to lather then rinse thoroughly. I follow this by a gentle pat of a fluffy towel to leave my skin silky smooth and super clean. L’Huile has certainly earned a permanent place in my cleansing regime.